Bet365.com.au is the Australian arm of the UK-based bet365 which claims to run the world’s largest online gambling operation. Licensed and regulated by the Northern Territory Government, it runs its offices in Darwin. A large selection of sporting events, spectacular odds and a wide range of enticing bets have managed to channel an impressive amount of traffic to the website since the start of its operations. Whether you’re an amateur punter or a complete expert, it isn’t difficult to understand that your choice of betting agency is absolutely critical. You can easily find a dozen online betting agencies that welcome Australian punters, but only a few are able to provide a first class experience. Read through our comprehensive bet365 review to determine if it should be at the top of your selection when you’re in the mood to gamble. The bet365 website is completely driven by Flash, which means that as a punter, you can sit back and enjoy a completely interactive wagering experience. The site can be navigated through multiple methods, including image links, text links and tabs. The site opens to the Overview tab by default, which lists any of your starred events under the Favourites sub-menu. This is followed by sub-menus for Horse Racing and various sports including Soccer, Tennis, Basketball, Bowls and Cricket. You can toggle between Event view, Multi view and Schedule according to your preference. The exceptionally un-matched live streaming service provided by bet365 appears in a box on the extreme right of your browser’s window. This includes a separate video and audio section to cover the various events happening in real time. While the large number of sports on offer can get slightly complex, once you understand the layout, you’re sure to feel right at home. In order to view the Live Streaming, customers must have a funded account or have placed a bet in the last 24 hours. (Territory restrcitions apply, 18+, T&C’s apply). Bet365 has a great variety of support features available at bet365 extra. Plus, they manage an updated news portal dedicated to various sports and racing events. When you place a wager at bet365, the minimum stake amount depends on the type of bet you place. For example, if you were placing a bet online, the minimum would rely on the event and bet type. In the event that you place a stake that falls below the minimum, the bet slip is set to indicate the minimum that is allowed. A broad selection of deposit and withdrawal methods is on offer at bet365. Withdrawals are also possible through a number of methods, it should be noted that the minimum and maximum amount for each method varies. Without a doubt, the customer service provided at bet365 is noteworthy. The responsive advisors can be contacted over the phone at any hour of the day, on any given day of the week. You can also reach them through email and expect practical solutions to problems you may face. Bet365 also provides if you prefer reaching an advisor from your browser. An extensive FAQ section can also be found on the help section of the bet365 website, which can be consulted for issues related to sports bets, your account, payment. The Technical Issues area is dedicated to provide support for technical trouble visitors and members might encounter. Our expert team is in the process of conducting an in depth review of BlueBet. Neds is relatively new to the Australian bookmaking scene, but it’s growing fast. Created by Dean Shannon, who was the Ladbrokes CEO from 2013-2017, Neds is an approved operator for the PGA, Cricket Australia, the AFL, the NRL, Tennis Australia, and Australian Rugby. In this review, potential bettors can learn about the site’s signup process, markets, betting features, and deposit options while learning why they should choose Neds. It’s quick and easy to sign up for a Neds account via a three-step process. Start by going to the signup page, enter some personal info, choose a username and password, and that’s it. Neds requires ID verification before withdrawals can be made, and this is done in the My Account area. Neds is currently offering a welcome bonus of up to $150 for people that read this Neds review. Simply sign up for a new account and the promo code is automatically entered. Deposit some money, and Neds will match it in free bets. It’s worthwhile for new account holders to use the code to boost their betting balances. Users can get additional information on the Neds site also you can use our quiz to see if Neds is right for you. BetBoost: This is a Neds betting features that allows punters to boost the stakes on selected events. BetBoost is available on fixed-odds markets and it can be chosen if it is available for a particular event. There are no additional costs, but it is available only once a day. PriceBoost: If a bettor would prefer increased odds to higher stakes, Neds gives them the option to select PriceBoost in the account settings area. Multi Builder: This feature is ideal for those who love to build a multi. Live in Play bets: On Neds, users can bet on live sports. Promotions: Neds typically offers bonus bets as promotions, which is common in the bookmaking industry. Some promotions include receiving bonus bets on following races when users bet on selected promotional events. Quickslip: This feature allows bettors to bypass the betslip. Simply enter the stakes and confirm to place a bet. Default quickslip amounts are selectable in the My Account area. Tote selection: Also in the My Account area, bettors can choose from VIC, NSW, and QLD TOTE options. This preselects the user’s top TOTE selection. Neds offers a wide range of markets for sports and racing. As far as racing is concerned, users can bet on harness racing, greyhounds, and thoroughbreds, both internationally and within Australia. Neds also offers a range of odds on racing feature events, including the Melbourne Cup. In other betting markets, Neds covers all the most popular sports, such as cricket, soccer, NRL, AFL, tennis and much more. There are also markets for less-popular sports such as handball, volleyball, snooker, and darts. Sports bet types include points spreads, first-half markets, total points, and other exotic betting types. Neds now has a mobile app ready for download on Android and Apple devices. This app is well-designed for sports betting, and it provides an experience that’s markedly similar to the PC version. Bettors can place bets on the latest sports and racing events, they can place bets on live events, contact support services, and view all current promotions. To get more info or to download the Neds app, visit the site. As far as funds deposits are concerned, Neds currently offers users four options. For an instant deposit, the POLi and credit card options are preferable. If the bettor doesn’t mind waiting, BPay and bank transfer choices are available. While Neds offers live chat services, it states that queries will be answered within 48 hours. If a user has an urgent need, it’s better to call them via telephone. The support department’s business hours are 8am-8pm. Neds offers a range of responsible betting options in the My Account area. Here, bettors can set deposit limits, bet limit amounts, and read Neds’ responsible betting policy. These features make Neds a great choice for those who want to gamble while staying within a budget. For bettors in Australia, Neds offers a wide variety of unique features. With the ex-CEO of Ladbrokes at the helm, users can expect the launch of many new betting products in the near future. With its exciting promotions, selection of betting markets and features, responsible gambling options, payment choices, and much more, it’s easy to see why Neds is a preferred destination for bettors in Australia. Hopefully, the information in this Neds review will help sports gamblers make an informed decision on where to place their bets. Owned wholly by Palmer Bookmaking Pty Ltd, Palmerbet has been licensed in NSW. Having been launched in 2013, Palmerbet might be considered a new player in the Australian online betting industry. However, the Palmer family has been at the core of Sydney’s betting ring, with an experience that spans over 30 years. Having stepped into online bookmaking, Palmerbet seeks to provide punters with greater limits and improved odds. Overall, they claim to be committed to setting up a fair and interactive betting experience for enthusiastic Australian gamblers. At KRUZEY, we have put Palmerbet through our rigorous tests to determine if they’re keen on delivering their best. Continue reading our detailed review of Palmerbet to discover if it is indeed one of the best Australian bookies online. The Palmerbet website is designed to feature the standard three-column layout that is favoured throughout the online betting industry. On your left, you will find the all-inclusive menu while the center panel showcases current odds and the bet slip is located on your right. The featured sport on Palmerbet is horse racing while you can navigate to the second portion on the menu for all other sports that are listed alphabetically. At the top right, you can find a button that helpfully links to return to Home page if you wander into any unfamiliar area of the site. The bet slip is created to allow for a quick and painless experience in placing wagers. A quick multis section enables punters to plan and place multiple bets on upcoming popular events. Within the horse racing menu, fixtures for the day and the next day are revealed through a sub-menu. You can click through to find the particular race you are looking for. Each race is listed with race numbers appearing across the card’s top and odds being displayed at the right of the horse’s name. When you click on a horse, you can find a quick evaluation. For interested punters, a detailed description of racing products can also be found on the website. While it can appear that Palmerbet is limited in the coverage of sports events, they do have a few favourites. Fans of Australian Rules, horse racing and Rugby will find themselves spoilt for choice with plenty of markets for each event. Palmerbet manages an excellent up-to-date blog which covers all things racing, sports and even entertainment, which has great information for punters. For punters logging in through their iPhone, Palmerbet also has an iOS mobile app which is available on the App Store. At Palmerbet, a minimum of $1.00 should be wagered when placing a bet online. If you are placing a bet on thoroughbred, harness and greyhound races or on certain approved sporting events via the telephone, your wager cannot amount to less than $20.00. Bets can be placed 24/7 by placing a call at 1300 123 238. The Palmerbet site is encrypted and provides a safe, secure environment you can trust. Following their legal obligation, Palmerbet requires proof of identification from members within a 30-day time frame after an account is opened. Failure to provide proof within the specified time can result in account suspension. A step-by-step guide is available to help you with identity verification. Funds can be deposited into and withdrawn from your Palmerbet account through various means. The required minimum deposits and permissible maximum deposit for your Palmer account may vary over time, however you will be notified through the website or by contacting customer service. You can chose to make instant deposits through credit cards or POLi internet banking. Both Visa and MasterCard are accepted, however deposited funds are required to be turned over before processing any refunds. With your Australian bank account, you can also make a deposit through BPAY or Direct Bank Transfer. The process can take anywhere from 1 to 2 business days, as funds are processed through the bank. You can transfer funds from your Palmerbet account to your preferred bank account at an Australian bank without being charged any fee. Funds will be processed into your account within a business day or two. If you wish to directly fund your Visa or MasterCard, you can make use of the credit card withdrawal facility where processing of funds can take up to 2 to 3 business days. Palmerbet has plenty of highly rewarding promotions for its new and existing members. Following the online betting industry standard, the promotional free bets for new members are very competitive at Palmerbet. When you join Palmerbet, you will be rewarded with 100% matched bonus on your first deposit. This means you can collect up to $250 in bonus bets! You can place your bonus bets on racing products that offer odds of $1.40 or higher. In the event that you win on your bonus bet, you will find your winnings (excluding original stake amount) in your Palmerbet account. Once you turn over your initial deposit and bonus bet winnings at least twice on winning bets with odds of $1.80 or higher, you can withdraw them from the online account. However, you have a window of 90 days after receiving your bonus bet. Racing enthusiasts can find much to rejoice about with Palmerbet promotions. You can enjoy the Autumn Effect special on select races in the Autumn Carnival such as the Rosehill and the Galaxy. If the horse you back officially places second or third, you can receive up to $50 back from your first bet. However, your bet must be placed online or on the mobile site to be eligible. Next, punters waging via the internet can enjoy the Super Saturday promotion. For select horses, you can enjoy boosted odds each Saturday (10 AM – 12 PM) by placing a maximum stake of $50. Greyhound races can be just as exciting thanks to Friday Dogs and Monday Night Dogs money back promotions. If you’re more interested in sports betting, Palmerbet has plenty of sensational offers for you. Beginning with AFL Countdown that promises boosted odds for selected AFL Futures markets, you can also partake in AFL $2 Favourite Fill-Up. On NBA Thursday Throwdown, even if your selected team loses the match but leads at 3 quarter time, you can receive a bonus bet that matches your first head-to-head bet (up to $100). Not to mention the terrific bonuses for NRL, Rugby and an EPL special. Palmerbet does not offer live video streaming for either sporting or racing events. However, you can certainly place live bets for select sporting events. If you have any concerns, Palmerbet offers excellent customer support. You can contact their helpline (1300 12 4357) from Monday to Saturday during 8 AM – 6 PM to connect with a knowledgeable representative who can answer any of your queries. For your after hour enquiries, you can also contact them online through the contact form available. Your emails can be directed at contact@palmerbet.com. For your convenience, Palmerbet hosts a detailed FAQ section which provides members and visitors with helpful information. You can also take a look at the how-to page for guidance on topics such as fund deposits, claiming and using bonus bets and credit card verification. Sportsbet is among the group of rare Australian bookmakers which is referred to as the “oldest”. Having been licensed in the Northern Territory around 1993, it was a small-time operation in Darwin. It was first bought by the legendary Matthew Tripp who was responsible for a number of changes and the rising popularity at Sportsbet. It was then however acquired by Paddy Power starting in 2009 and completed by 2011. If you’re interested in variety and love promotions, Sportsbet is a definite safe bet. It has come a long way from its younger self. Here’s an in-depth Sportsbet review for you to find out the details. The Sportsbet website is almost a punter’s dream come true. There are no flashing graphics, bedazzling colours or clutter. Instead, an intuitive layout with basic colors makes punters feel welcome. You’ll find an obvious left-hand menu for navigation between Racing, Sports, Live Bets and Results. There are some Quick Links for those interested in wasting no time and a Contact Us section for those who can’t find answers to their questions. Overall, the website is simple to use and everything is integrated seamlessly for convenience. Sportsbet offers nearly an endless variety of sports for punters to bet on. Make a choice of anything ranging from American football, boxing, and cricket right up to rugby league, soccer and tennis. You can even bet on the Olympics, beach volleyball or surfing and that’s not the end of it. There’s a section of novelties for wagering on finance, entertainment, politics etc. Not to forget the punters who love for racing, they have greyhound racing, horse racing and harness racing too. When it comes to odds in sports betting, you’ll find Sportsbet specialty to be the AFL and NRL, however the odds on every other domestic or international sporting event are extremely competitive also. Walk through multiple bet types such as single bets, margin betting, multibets and score casts. The bet types for racing are just endless and you’re spoiled for choice – Betting Without, Exotic Betting, Super 6, Hot Wings and so much more. Also, Top Tote Plus applies at Sportsbet, which means racing punters are paid the highest of three totes (or your starting price) when bets opened, whichever is greater. According to the Terms and Conditions laid out at Sportsbet, the minimum amount for a wager depends upon the type of bet you place. The minimum for bets placed online from a Sportsbet Account is 50 cents. If you’re interested in Sports Events “In Running” or “Live” Betting, you’re required to pay a minimum of $1 for a single bet. For single or multiple bets excluding those for live events, if placed on the phone, the minimum is $20 for sports bets and $50 for races. Signing up at an Australian bookmaker such as Sportsbet has one obvious advantage: local banking options. Simply put, you can make deposits directly in $without scanning through exchange rates and you can also enjoy cashing out swiftly. Whereas no fees are charged on deposits, the deposited amount is required to be bet with or turned over at least once before you can cash it out. For example, if you deposit $10, you need to bet $10 before making a withdrawal on the winnings. Sportsbet divides its deposit methods into Instant and Non-Instant. Instant Methods to deposit include Credit/Debit Cards, PayPal, Moneybookers/Skrill and POLi. Bank Transfers and BPAY fall under Non-Instant mediums. Although both MasterCard and VISA are accepted at Sportsbet, AMEX, Diners Club and some Prepaid and Virtual Cards are not supported. In certain cases like Bank of Queensland, Citibank, Suncorp and Virgin Money, your preferred financial institution does not allow use of their card for funding at Sportsbet. Want to make a deposit from your mobile for an uninterrupted mobile gaming experience? All these methods except POLi and Skrill are available for your convenience. Please note that the minimum deposit for each payment method differs. For cashing out your winnings, Sportsbet recommends withdrawing to your bank account. However, a number of alternate options are also provided for your preference. Withdraw to credit card, PayPal, Skrill/Moneybookers. While withdrawing to debit cards is not possible, you can definitely withdraw to your bank account the card is tagged to. For any withdrawals on credit card, players need to first verify their credit card. You can also request a cheque or your personal Sportsbet Cash Card. The Sportsbet Cash Card provides a secure method to instantly access your winnings. It is accepted at all Australian ATMs and can even be used to make purchases wherever EFTPOS is accepted. For mobile users, bank transfers, credit card, PayPal and the Sportsbet Cash Card are all great withdrawal options. Staying true to its “always fun” slogan, Sportsbet does offer quite a few enticing promotions that are guaranteed to deliver value to all players. Beginning with the free Bonus Bet, Sportsbet promises to match your first bet with a bonus bet up to $100. Next, if you tell friends about Sportsbet and convince them to join, you’re in for a fair treat. For every friend who joins Sportsbet and makes a deposit worth $50 or more and starts wagering, you get to earn $150 in Bonus Bets! Bonus bets at Sportsbet should be used in under 30 days once you receive them. Also, when cashing out, you can only withdraw winnings. The stake from the bonus bet is not returned to you. Your horse lost due to an upheld protest? With the Protest Payouts you get paid as a winner if your horse is past the post but gets upheld! Justice Payouts at Sportsbet are designed to bail you out if your wager suffered from bad calls or other extraordinary circumstances. Not to mention other unbelievable specials such as: Money Back Special where you get your money back even if you’ve lost on a bet and Early Payouts. If you like having company and sharing your excitement, you can also try out the exclusive Punters Club at Sportsbet: get ready to make deposits and even bet as a group. Quite a selection of live streamed sporting events is available at Sportsbet. You can choose from tennis, snooker, US basketball, soccer, etc. A live stream of domestic Victorian Racing is also available at Sportsbet. On account of the Interactive Gambling Act 2001, Australian punters cannot place live bets from their desktop when logged online. Fortunately, live bets can still be placed over the phone. You can choose to make a phone call to their dedicated phones for Live Bets. Alternately, you could make things easier and avoid any talk with support staff thanks to the Bet Live feature on the Sportsbet mobile app. Whether you’re on from your Android, iPhone or directly through a browser, all devices are compatible. Go ahead, and give it a spin. Battling with account issues or have a dispute about your wager? The customer support at Sportsbet is exceptional. You’ll be able to reach a professional representative 24/7 through any method of your choice. Connect with them on the phone at 1800 990 907, drop an email directly from within the site or you can have a live chat in an instant. Your issues are guaranteed to be resolved promptly and you can hurry back to place another great wager. For your reference, an exhaustive FAQ section can also be consulted if you wish. At Unibet, you’ll get a personal feel with a sleek betting interface that mostly utilizes flash but provides practical features for punters. To your left is the sports navigation panel, locate your betting slip on the column to your right and you can find your markets, options and odds dead center of the screen. The intuitiveness of the layout will spark familiarity, and it eases the punter into the betting products. You can also move between tabs located on the top menu that allow you to quickly access the Features, Promotions and a dedicated Unibet’s App page aside from the Sports, Live Betting and Racing options. Within the left menu, you can find a “Shortcuts” section that is helpful when you need to swiftly place a wager on popular sports such as the Premier League, Super Rugby or the NRL. Plus, you can find links to events that are to be held within an hour and 4 hours. 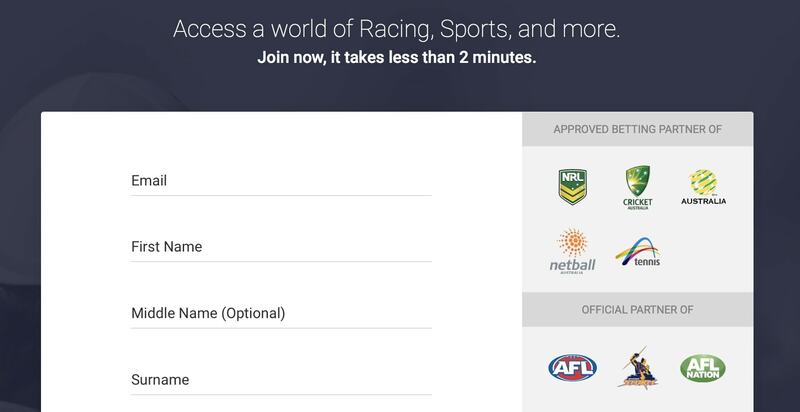 Navigate to leagues and sub-markets by clicking on your preferred sport. The handy search feature will help you quickly find the market for your particular team. The options for Racing events are just as competitive as other betting sites in Australia. Browse through form guides, results, and match ups. Start including selections to your bet slip, scroll through your betting history by heading to the link at the slip’s bottom and access pending wagers through the pending tab located at the top. Overall, the site is meticulously designed and rich in features to maintain ease of use for punters. The minimum amount to be wagered is determined upon bet type. When you’re placing a bet on a sporting event at Unibet, the minimum stake for a punter is $1. For different bets, there is also a maximum stake which is outlined when you enter your stake on the betting slip. For any bets placed over the phone, your minimum bet should amount to $20. Similarly, in-play bets or bets placed on Live Streaming events are required to be a minimum of $20. Punters should be able to securely deposit funds into their accounts to enjoy peace of mind when gaming online. Rest assured, making speedy and safe deposits is quite simple with the various banking options offered at Unibet. You can finance your bankroll through Credit/Debit cards, Bank Transfers, BPAY or POLi services. With the exception of BPAY and Bank Transfers, most methods are instantaneous and you will find your funds deposited in your account immediately. With BPAY or Bank Transfers, the banking procedures can take up to 2-3 days, on an average. The minimum amount for deposits will differ for each method you choose. While no commission is charged by Unibet for players making deposits, your preferred mode of payment might incur a fee. In line with adopting stringent measures for security and complying with the law and regulations, Unibet only allows withdrawals to be made to a player’s nominated bank account. Players are required to verify their identity through personal documents. Keeping up with the competitive online betting industry, Unibet takes charge of presenting the best promotional offers for their customers. The welcome offer for free bets is a great bargain, to begin your long-term relation with Unibet. For the first deposit you make of $20 into your account, you’re given amazing bonus bets of $80! What’s more is that when you win on your Bonus Bet, Unibet offers the unique opportunity to cash out your stake too! Interesting enough, you’re allowed to split your bonus into individual bets. Also, unlike other sites, at Unibet, punters just turn over the applied bonus four times at odds of $1.40 or higher rather than their entire winnings. A minimum of $20 is required for availing this sensational deal. Make sure to use your bonus bet within the 30 day validity period. There’s no end to Sports Promotions at Unibet, either. Counting on a sensational multi but had everything go sour because it went down by one? If it failed narrowly, Unibet offers cash back up to $50 on losing 4+ leg combos! Fortunately, ALL your sports are eligible for this promotion. Next up, just in time for football season, Unibet’s 90+ Injury Time insures you through the Champions League, English Premier League and even La Liga. What does this insurance mean for you? If your team scores a goal after the designated 90 minutes, you’re refunded for bets up to $100. Unibet loves rewarding your “firsts”. Being innovative, Unibet allows punters to place a wager on one of the largest eSports catalogs including titles such as Counter-Strike Global Offensive, League of Legends and Dota 2. On your first eSports bet, get up to $100 if your bet does not win. Punters who love racing events should not feel left out. For their first Racing Bet, Unibet offers to refund your stake right up to $100 in case you end up losing. Enjoy best tote pricing, dead heat and protest payouts as well as other rewards for your loyalty. Unibet has introduced its innovative Live Betting product fairly recently and therefore the service is in its beta version. With Live Betting, punters can conveniently place their bets in-play straight from their bet slip. Don’t make the mistake of discounting Unibet as a weak newcomer, it brings a strong game when compared to the live section of online betting sites. Leading from the front, Live Betting covers an astounding 120,000 events annually. As usual, you always have the option of phoning in at 13 78 68 when placing a Live Bet. Otherwise, just head to the LIVE section. Click on the dedicated button “Call to Place Bet” and confirm your live bet. You can even change your odds acceptance settings, if you wish. Although currently only available for desktop users, Unibet is preparing something for the Unibet App also. Moreover, there is Live Streaming for select events that includes football (English Championship, La Liga, International Friendlies and other Top Tier European events) tennis (Grand Slam, Challenger Tours and ITF) and US sports (NBA and NHL). In total, around 30,000 sporting events are streamed live annually and you can take your pick from other sports such as basketball, soccer, ice hockey and cricket. Unibet aims to deliver customer service of the highest standard to everyone: whether you’re just a visitor or a loyal customer. You can get hold of a professional customer service representative when you need them, through your preferred means. Reach their telephone hotline (13 78 68) open Mondays to Sundays between 09:00 AM – 02:00 AM. If you wish to contact them outside of the prescribed hours, you can email them from the site or at customerservice@unibet.com.au. Before you contact a customer service representative, you can also browse through the detailed guides present in the support section of the Unibet website. This includes basic topics for your reference such as Account Setup, Security, Troubleshooting and Mobile Gaming. There is also a comprehensive compilation of frequently asked questions (FAQ) pertaining to all topics related to gambling at Unibet.